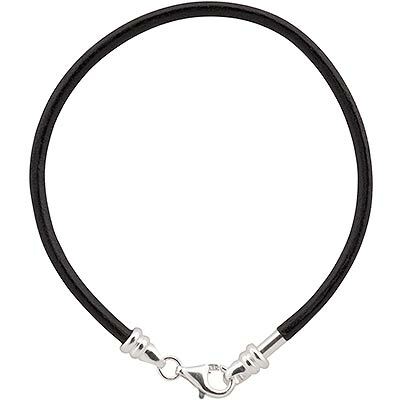 Our 7 1/2 inch PERLAVITA black leather bracelet is designed to work with our large hole PERLAVITA glass and sterling beads. 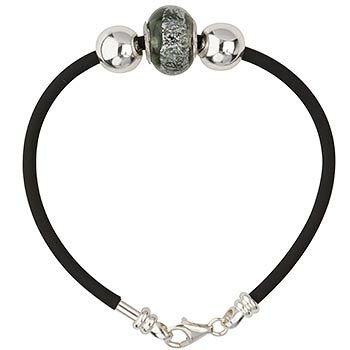 Simply unscrew the sterling silver endcap, slide your beads over, and re-attach the end to securely hold your beads on the bracelet. Designed to work with the PERLAVITA clips to help position your beads on the bracelet and keep them exactly where you want them.